The call functionality is undoubtedly one of the most important and complicated features provided by IM-Notify. It integrates with iPhone and Android’s native APIs to provide a seamless experience. 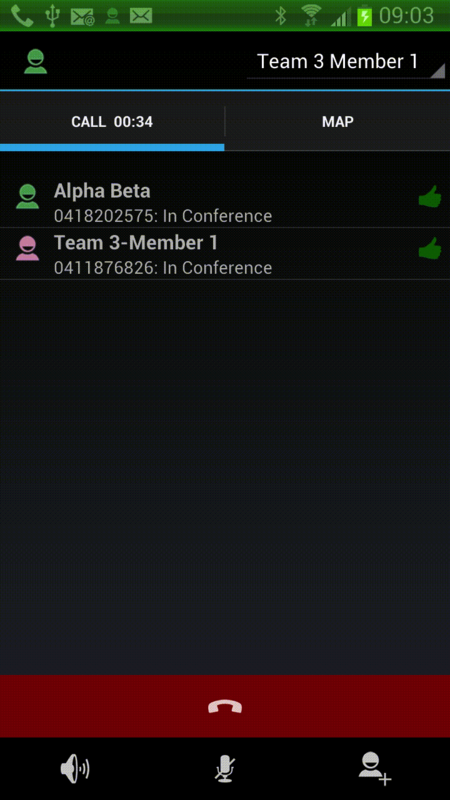 The app automatically distinguishes between regular call vs. a call from the conferencing system. Conference call – allows you to dial-in a pre-setup conference. Depending on the way the conference is set up, you might have to enter PIN number to be authorised. Once authorised, you start receiving updates on the status for each participants in the call. You can also add new members to the call. They have Conf as suffix in the services. Public call – Very similar to conference call, except you don’t dial-in. Instead, you initiate calls to a bunch of pre-registered numbers at once. This feature is very useful for conducting group meetings via phone. They have Public as suffix in the services. 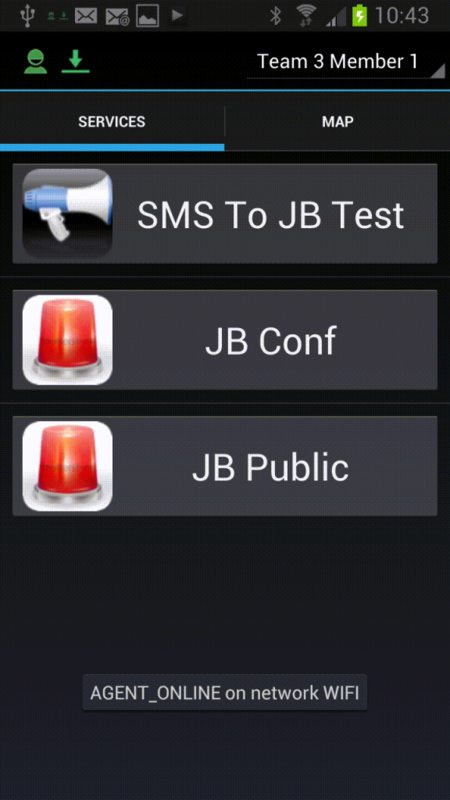 From the screenshots, we can identify JB Conf as a conference call. We’ll use this one. The following video shows how calls are made. The call screen is a pretty standard and intuitive representation of calls. The main view of the call screen lists record of participants that have been dialed or currently being dialed. The call control panel allows features like terminating call, changing microphone and speaker settings; and adding extra participants to the call. The big red button is used to the end the call. Ending the call from the app only terminates your session. The service will continue operating until all the participants have left. 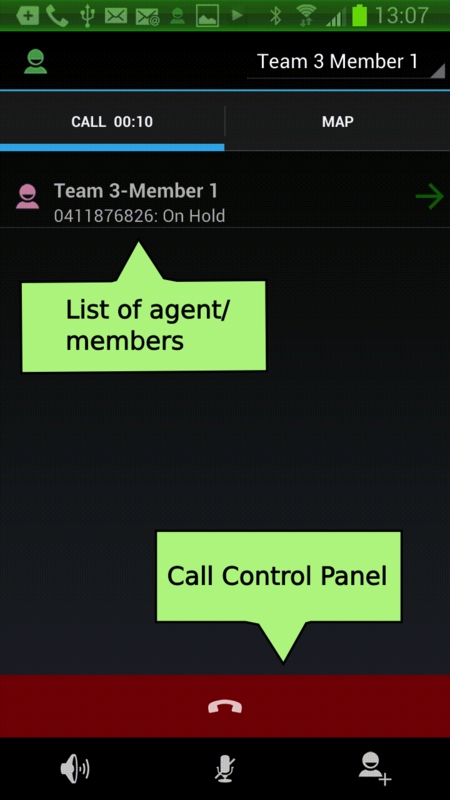 The icon on the bottom right of the call screen panel allows adding participants to the call. The following video shows the rest of the process. Releasing participants involves performing a long press on the call record. Upon long press, a small dialog presents the option for call release. The following video demonstrates this. Finally, the following image shows what it looks like when calls are successfully participating in conference. The icons on the right for both records have changed to thumbs up. ( ).